PS:- Sorry for not replying to previous comments , I will get on to them soon. Thank you all for visiting always. I think its my face or just me that gets this reaction from people.. So there is this new App called #shpock. Its like Ebay where you can advertise unwanted stuff , people can bid for it and then you sell or buy. But unlike #Ebay this one does not have any safety nets so dodgy people get to rip one-off, I had a similar experience where by a IPAD was advertised for some Amount, I was interested in getting one so I offered a Price of £275/- if I get it fine if not then also it was fine as I am not that desperate to buy one. The seller seemed to be genuine but I had been stupid enough to not Read the Reviews , there were just a couple at that time which were not good, Anyway I get a reply from this person to message them on a Phone number 07576560137, so I did, I offered to pick up the item myself , but the person was adamant to get it posted, Still I did not think this could be a scam. I got a Message that she is ready and accepted my offer AND then the drama started about how to pay for the item, I did not want to pay in advance as I had no clue who this person was and she was adamant on posting, She asked me if she can post , I gave my answer that if she can trust then yeah go ahead post it to me and I will transfer the money the moment I got the item. She then came with the idea that Half the money first and half on receipt, I was still not happy So I offered to pay £50/- as advance and the rest on receiving the item. I had a reason that is she was willing to trust me for £225/- then she would be a genuine person, But the clever she had different ideas (to her £50 was better than £0).. She readily agreed to it and I don’t know why I just did not give it a single thought that all this time , This person had not even asked me the address she was going to sent the Item to, I am such a DUMB idiot. I then transferred 50 pounds to the given account number , She promised to post the item the next day it was only about a few hours later that my mind WOKE up like a TUBE LIGHT.. how is she going to send, she has not got my address 🙂 that’s when I texted her , and since then NO replies from her and it seems she has blocked me on whatsapp, I tried calling the number but the calls never went through. Now almost after a month I could see activity on her profile and she is back to the same plan, putting stuff for sale and then asking people to Transfer the money as she will only post, People are saying they can pick up but NO she will only post, wants the money in advance. I wrote a lot of messages on here Time line to Refund the money.. Even wrote that this person is a CHEAT and wont send the item, But cleverly she has deleted all the messages. To make matters WORSE if you go the #SHPOCK help on the App it has FAQ’s on everything BUT if you are duped. So the site is happy to see people get ripped off as long as the Site is working , at least on #Ebay one is safe via #paypal and if things go wrong then money is refunded, Although I have been in Communication with them and They are trying to help. This whole episode has left me so angry I mean everyone is out there willing to dupe you, no thoughts are given as to how hard it is to earn money Or maybe I am a born sucker, this person sent a text to me saying her GrandDad had passed away and I was so concerned , I am offering my condolences to her, Also saying that its OK, she should go and take care of all that is going on in her life, and when she is back I can come and pick up the item, I mean people can even use the Death of a family member (that is if it was genuine) to their own benefit. I am such a RETARD.. Putting on snapshots of the communication I had with this person and You can see what a PLONKER I AM 🙂 I feel disgusted with myself. Sadly Since it was a wire transfer and with my own accord the Bank can’t do anything, I have written to them but they have not had any replies from the Account into which I have paid the money, I think the person has actually stolen someone card and using it , that is why she was so desperate for me to put the money right away, so she can withdraw. So if anyone is using this APP please be aware of the Scamsters especially near by the Post code of NN18 – CORBY area. Life is funny , I thought I shall share this clip with all of you lovely people .. I would seriously ask you to stop what you are doing and Press the play button and sit back and relax and LAUGH as I did for.. oh so long.. my belly hurt .. Its a different story I got a BIG one. This is what happened in a small town in belgium.. in a famous square.. I particularly liked the Motorbike rider (I think my friend Andro is giving me idea’s 🙂 ), Does it really happen.. WHERE.. I need to go to BELGIUM .. A.S.A.P .. You just never know what might happen next time you go out for a quiet cup of coffee! and NO I DON’T mean to offend any one, No intentions whatsoever, of offending the Lovely ladies, it’s written purely in jest and for fun. To be taken lightly and as a marketing ploy. I dont have anything against ladies, so please dont feel offended, Thank you. go go go go GO FOR ITtttttttttttttttt what you waiting for … Press the Button DO IT.. Doooooooooooooooooooooooooo IT.. keep the volume down though if you are in office..
IF- by Rudyard Kipling. – Some Awards.. 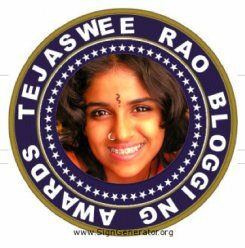 Tags: Cuts, Jobs, Mahabharata, Police, Rudyard Kipling, UK, Versatile Blogger, You tube. If you can dream, and not make dreams your master… IF.. Do watch this one .. 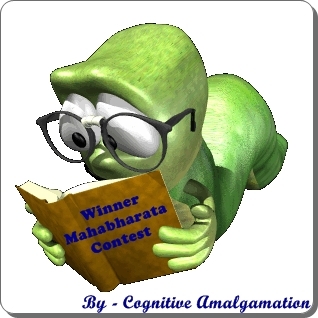 I also have been awarded a couple of times and I have been trying to find a good time to put them on..
First one is from an excellent blogger and a good human being, RAHUL who blogs at Cognitive Amalgamation, He had put up a contest on questions regarding Mahabharta I gave some answers and VOILAAAAAAAAAA I won, I might have forced him to give me this award .. he he he and Here it is ..
PAGAL hain Kya ?!!? 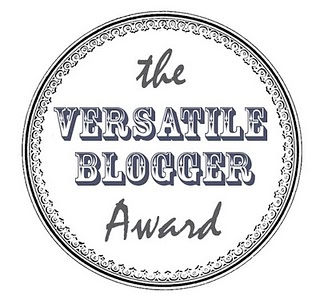 Where CD .. AKA Confused D blogs has given me another award and Has written some lovely things about me .. 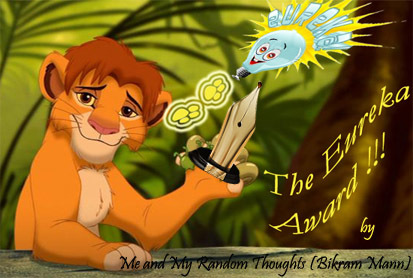 I am always honoured by those who come to my blog , read what i write and then also given me an Award .. So THANK YOU SO MUCH… SO VERY MUCH.. C.D. I really liked these ads since they started a bit silly, but they have been telling a story how a meerkat came to what it is now ..
3. John Lewis ad ..
Now this is a AD on Why advertising is so important and a must.. I wanted to put this as number one but I guess i have soft heart for the ones whom i gave the number one spot … Every house needs a harvey .. MUST WATCH ..
PS:- On a different track This blog has been nominated for the final round of Best of Indian Blogosphere (BoIB) 2010 polls under the category Humour & Satire and Religion & Spirituality. Have a look at Humour & Satire and Religion & Spirituality , If you like then do Vote .